Pretty pale pink latex balloons by Qualatex. 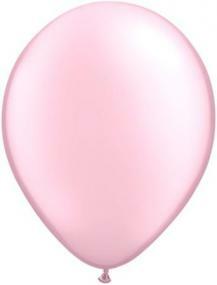 These balloons each measure 11" diameter when filled and can be filled with air or helium. Each bag contains 25 balloons. Mix with white, pastels or magenta for a pretty look.